The full drum sheet music for "I Don't Want To Grow Up" by Ramones from the album ¡Adios AMIGOS! (1995). The full drum sheet music for "You're The One" by Greta Van Fleet from the album Anthem of the Peaceful Army (2019). The full drum sheet music for "Pour Some Sugar on Me" by Def Leppard from the album Hysteria (1987). The full drum sheet music for "What's Love Got To Do With It" by Tina Turner from the album Private Dancer (1984). The full drum sheet music for "Here I Go Again" by Whitesnake — the 1987 version (4 min: 36 sec). The full drum sheet music for "Paranoid" by Black Sabbath from the album Paranoid (1970). 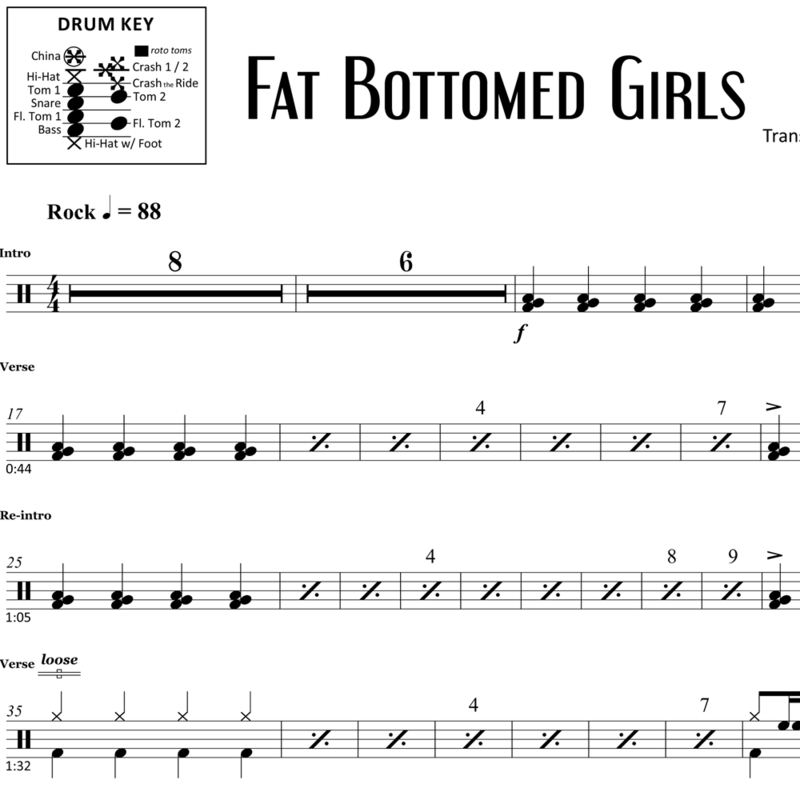 The full drum sheet music for "Fat Bottomed Girls" by Queen from the album Bicycle Race (1978). 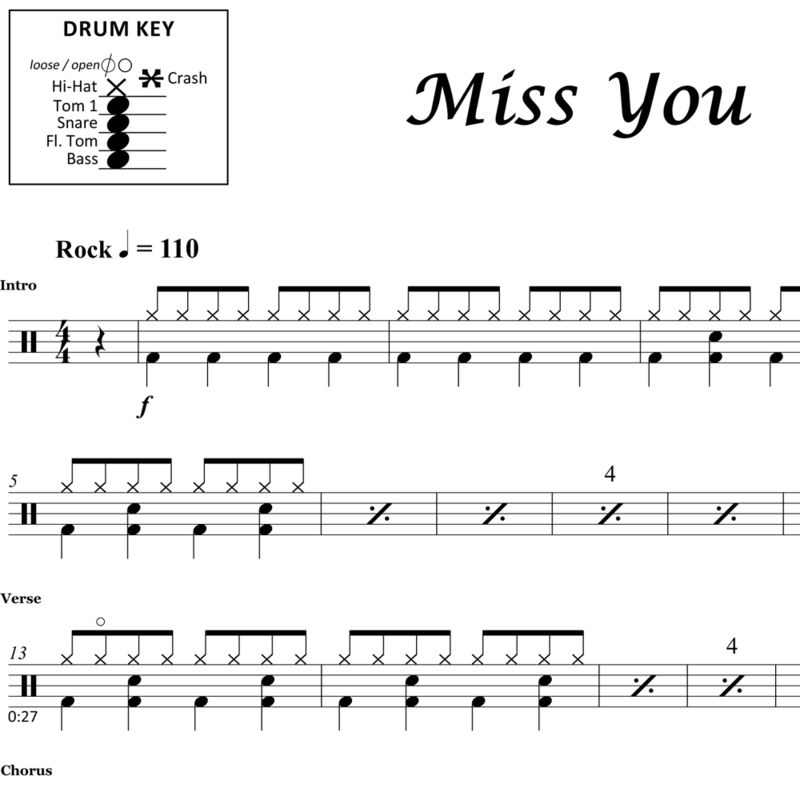 The full drum sheet music for "Miss You" by The Rolling Stones from the album Some Girls (1978). The full drum sheet music for "Love in an Elevator" by Aerosmith from the album Pump (1989). The full drum sheet music for "Ready To Let Go" by Cage The Elephant from the album Social Cues (2019).